Maybe the only one with whom I sympathize is Sancho Pança. I like him, a simple man, witty and humorous, loyal and….has abundant proverbs in his head to be poured upon us! I think for Don Quixote, to live a Christian life is just an idea; mere theory. When his quire was beaten (I forgot in which scene :D) Don Quixote ran away ‘till he was sure everything is safe for him to help Sancho. His action was not correlated with his principle. On the contrary, Sancho never hides the fact that he is a coward and hates physical battle, but in time of trouble, he left his precious Dapple and his own safety, and ran to save his master, who has caused him most of his ill-lucks. THAT is a true Christian! In his frenzy, Don Quixote is carrying noble ideals to save the oppressed, but most of the people he meets cannot see it, they only see his absurd appearance and madness, and take him only as a madman. We are often deluded by appearances and our own ideas, and forget to delve deeper. Idea could perhaps be the most powerful tool to shape our civilization. It can bring us to the truth or deludes us to the false; only grab it literally without finding the truth would be very dangerous, for ourselves and for others. Did the writer’s times affect him? Very much! Because Cervantes wrote is mostly from his own experience, which showed us Spain in the early 17th century era. Cervantes joined the Spanish army, and it is believed to be the source of his knight-errantry and chivalric idealism. I think Cervantes wanted to portray the decreasing idealism of knight-errantry principles he was facing at his era. Morality has been decreasing in the tumult of new era, and people have failed to keep the true Christian values. Modernism, in any era or century, brings also moral corruption to a society as a side effect. And it is depicted in this satirical romance as well. Is this novel a “fable” or a “chronicle”? Don Quixote is a complex work, it can be said to contain both fable and chronicle. Alonso Quixada lived in a real world, as well as his niece and housekeeper, the curate, the barber and Samson Carrasco the bachelor. So it seems to be a chronicle. However, in his transformation into the mad Knight Don Quixote, all his adventures with his Squire Sancho Pança and all other characters (during his madness), the story is switched into fable. 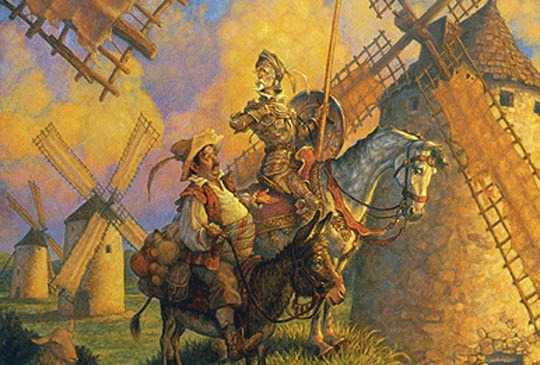 So, I think Don Quixote is a fable which Cervantes ‘forced’ us to believe as a chronicle. What does Don Quixote want? What is standing in his way? And what strategy does he pursue in order to overcome his block? 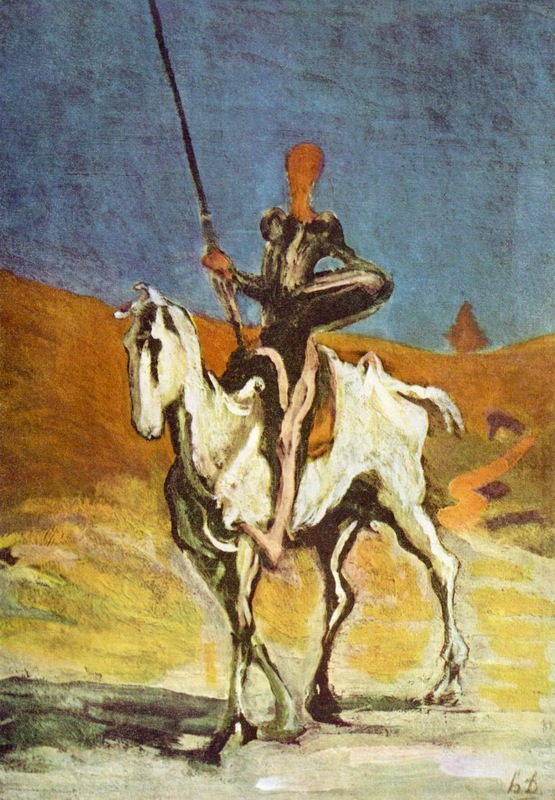 Don Quixote possesses real Christian quality, as he has an obsession to free the oppressed from their sorrows and troubles by entering the profession of knight-errantry, after having read (too) many books about it. He deludes himself to do what the books said, forces real objects to fit his fantasy, and therefore often meets failures and dangers. But, fails in finding reasonable cause, he takes them as being enchanted by magicians, and therefore he keeps fighting earnestly to fulfill his obsession. I think it was told from the third-person objective, that is Cervantes’. He wrote Don Quixote as if it was a biography of the Knight. What styles does the writer employ? Complex—using complicated sentence (being written in 17th century)—and quite ornamental. Cervantes included a lot of verses and proverbs—thanks to Sancho—besides his great narrative style to describe the extravagant adventures. The book begins with introduction to Alonso Quixada’s quiet life in a rural village in La Mancha. But immediately after that his knight-errantry books poisoned him to his delusion. It reveals men’s helplessness against the power of ideas. The ending is a resolution; where Don Quixote is finally woken up from his madness and dies peacefully after confessing that men should not read books which have tendency to delude them. In it Cervantes wanted us to understand that we have choices, but also the power to make a good one. 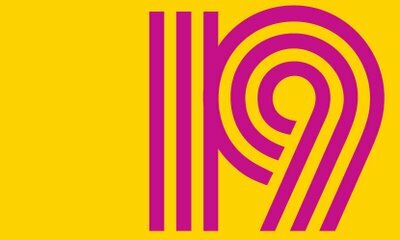 What is your favorite “classic” literary period and why? As for the reason….I don’t really know why, but Victorian writing style just fits me very well. 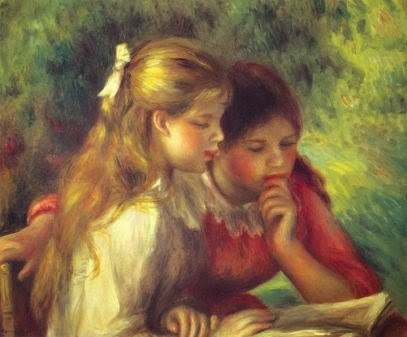 Two of my most favorite classics authors are from this period: Emile Zola and Charles Dickens. 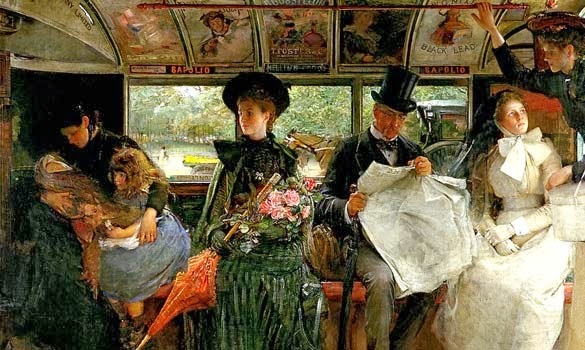 Maybe it is because I love English as a language—though I’m not a native speaker—and Victorian English feels so beautiful for me, and Victorian arts and culture so fascinate me. I have tried many other classics from other periods too, so far Victorian is my most favorite, and Post-Modernism is my biggest fail. What about you? 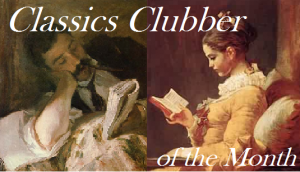 What is your most favorite classic literary period? Do you love Victorian too? 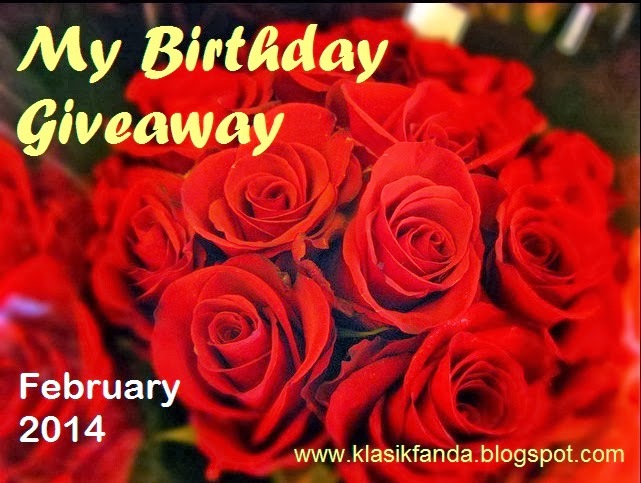 My Birthday & Reading Dickens Giveaway Winners! 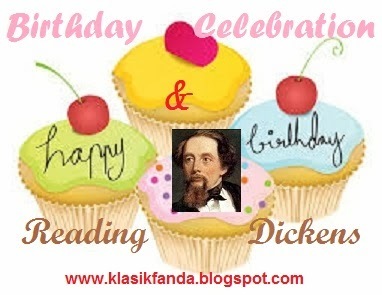 Thanks to all of you who have participated in my Birthday Celebration, either in Reading Dickens Event and/or My Birthday Giveaway. Now it’s time to announce the lucky winner. Although I didn’t pick any Dickens work this year, still I was entertained by the real facts about his life and personal characters after reading Claire Tomalin’s The Invisible Woman. It gave me clear sight of the real social condition in Victorian era, as well as what kind of person Charles Dickens was. There were seven more reviews on Dickens books and book about Dickens, you can check them here. 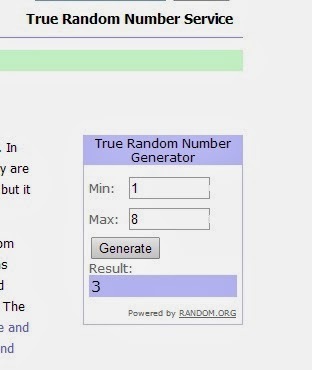 From the seven posts, I picked one number randomly, and the lucky one is…..
Congratulations to Ruth! I would contact you via email soonest possible. Thank you too for participating in My Birthday Giveaway, and welcome to my new followers! From all you entries, I have randomly picked one, which belongs to…. Congrats Ekaterina! Just wait for my email very soon! For now, goodbye February! It’s been a nice and exciting month, but I still have another exciting month to come….. Zoladdiction 2014 in April. Care to join too? Sign yourself up! Following last year’s quite successful Zoladdiction event (19 participants and 28 posts), I decided to host it again this year (and I hope many years to come). 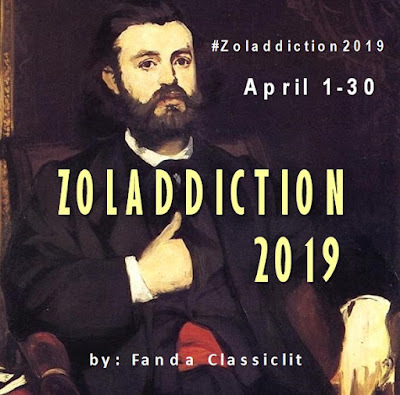 If you missed it last year, Zoladdiction is an event of reading books from the French Naturalist: Émile Zola, to celebrate his birth-month on April. From my (and several others) experiences, reading Zola has a kind of addiction effect. After reading one of his books, you would feel exhausted; like your emotion has been overturned. You would say, it’s enough, no more Zola! But after the shock has gone, you’d quietly find yourself craving for another Zola. Well…at least it happens to me :) So, to facilitate all ‘Zoladdicts’, I am going to host…. Register yourself in the linky below (submit your blog or Goodreads’ profile URL). Help me to spread the Zoladdiction, either by putting the Zoladdiction button on your sidebar, or by discussing the event on Twitter using hashtag #Zoladdiction2014. In addition to reading the books, you are welcomed to post anything concerning Zola during April. I encourage you to post a brief wrap up in the end of Zoladdiction (the linky will be closed only in May 10), and let us know how do you feel/think after delving into Zola works for a month. I’m just curious how you all manage with Zola….